This is something that one of my fellow team 10 in 10 said in their video about the 10 in 10, or something similar and I’ve interpreted it this way and carried it with me over the last 6 days of this block of 10 days running. Now it could be said that the last 6 days have been the bad patch, tired, full of cold, falling out at home and waiting for payday. Nerve endings severed so that anything below a whisper is un-nerving and arrrrgh, what am I doing this for. There is a nothing below a low holler in our house, with 6 year olds, 2 dogs and a teenager – who rarely talks but when she does its to shout at her siblings, the dogs or to beckon a parent. But I know this is not how it always is, sometimes our cup floweth over with, joy, contentment and family euphoria (or do I dream) and payday has arrived and the cupboards are full and we all love each other happily ever after. Its just a BAD PATCH and bad patches much like cloudy skies clear and the sun shines again. Now back to this training for 10 marathons malarkey – the weather over this block has been fair to grim and the runs not quite what I would expect. Except for my hill reps which I was pleasantly surprised with- I felt like I had given them a good go. My strength training, stretching and glute work has been ticking along nicely too – so overall a GOOD PATCH – (all cheer please YEY!!) however I was already setting myself up for a BAD PATCH, knowing that the last 3 days of my 10 days I had 3 lots of 18 miles to do. It was almost like the lows I get in the taper before a big event – usually a marathon, grumpy, grouchy, cold struck the night before I was going to do the first 18. The first 18 miles – I woke to the alarm 4:45am and my head throbbed and my nose was blocked, bloody brilliant. I was off to coach Tim and then do my PT session. Sudafed a coffee, a piece of toast and Tim would be no wiser – he would just run his little socks off with my encouragement Top Job Tim!! Then comes the Athletes revenge – he had me doing circuits in the gym. I had told him that I had 18 miles later. This of course brought out his kind side and he didn’t have me jumping as much. What he did have me doing was – lifting barbels up and then in to a squat x 12 – running to watt bike and hammering it for 2 mins (I was shite) then running to assisted squat machine – 15 of those before running to the treadmill and hammering out 2 minutes at 15mph – jumping off and doing 12 full press ups (he had to help a little) then pull ups x 12, kettle bell swings and some other killer knee to elbow whilst in plank position move x 20. No not just one circuit but 3!! All good – I am sure there were several brief BAD PATCHES in this workout, the moments I vocalised as ‘I am going to be sick’ probably. However I survived and made it to the office, still sniffing and snotty because the endorphin’s had worn off and so had the Sudafed. By 12:30pm thanks to my very understanding boss the first of the 18 miles had begun. I do not re-call now, a bad patch during this run, but I do remember saying to myself its just a patch and you’ll get through it. I would guess this was at mile 6 as I climbed a hill or 3 and then again at 9 when I climbed them again. Two nine mile loops and my job was done. I hadn’t hung around as I knew I had to be back to train a runner at 3:30, but kindly he had realised I was under pressure and text to say we could re-schedule our session for Monday if I wanted – phew, time to stretch, and recover and nip to the supermarket with the kids. A lie in, do I ache? no not really. Dressed and ready to run at some point during the day. The day had begun and all was well, umm well kind of. Tensions seemed high and to be honest I cannot remember why, was it me? was I being grouchy? of course not it was all Doug and I am just PERFECT in every way. I am hoping he does not read this. Non the less tensions rose and by then I was more than happy to run as many miles as I could away from the conflict. Incidentally in case you’re worried the kids were more than happy building models with dad and waved me off as always with joy 🙂 The first part of the run went by without hitch, I actually decided to do a nice big chunk of miles before looping back. Like I said to the whole of social media and my on that day, very annoying bloke – Some people choose to mask their problems by putting toxic substances in to their bodies, me… I just Run-and run I did. The bad patch on this run came at about mile – well actually when I returned home. The kids said hello, but I didn’t get my usual hello from Doug 😦 He said he did say hello but I didn’t here it. No one asked how the run had been, no one made me coffee or got me some food sorted, or had run my bath. 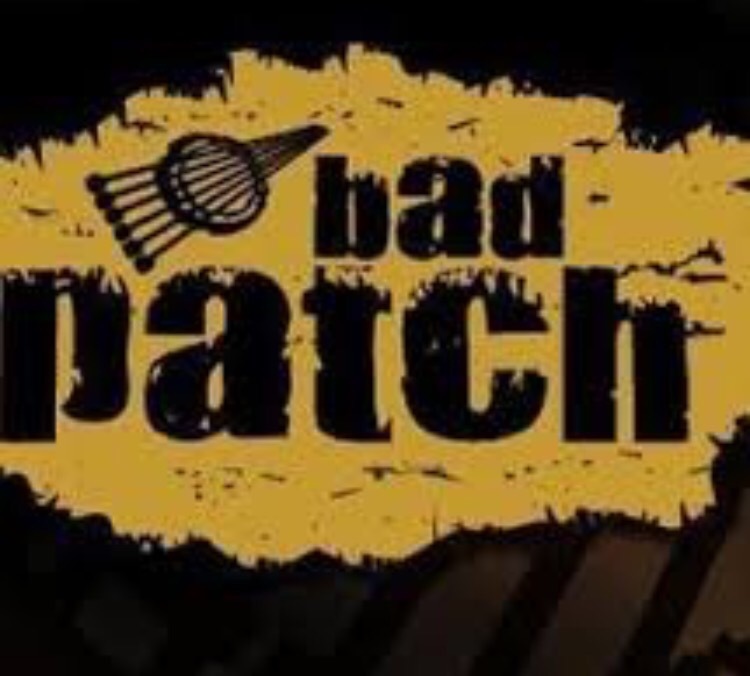 BAD PATCH!! I had definitely upset him, but being hard faced as I am (sometimes) – I made my lunch and a coffee and sorted my bath and let the BAD PATCH rumble on. Off to the park with the kids and a chat through my run and BAD PATCH with an ever listening friend and then back to the now getting bigger BAD PATCH. In which I made dinner and then hit the Prosecco with my eldest daughter when she popped in 🙂 Oh dear this could possibly have been leading on to another bad patch or 2 in the last of the 18 miles I had to do. I had a lovely night despite the still not great feeling between my usual number one supporter and myself. Surprise!! no hangover and a coffee in bed – forgiven? not quite. But throughout the morning we worked away at that patch and suffice to say by the time I was ready to run again!!! we were all okay. (All cheer YEY) Rain, all it did was rain and rain. I missed the opportunity to run early when it was not raining that morning, after procrastinating away, chilling with the kids, popping to the supermarket, any household task I could find – hugging everyone, eating lunch. Eventually at about 1.30pm I was ready to run and yes it was still raining. Before heading out I had to faithfully promise Daisy I would run around cricket field with her after my run. So off I did trot with the promise of Lamb Hotpot upon my return – it’s so much easier when you don’t piss off your main man and supporter. This run was loops again, but not the 4 I had planned, I did a 6 and then a 12 to just get it done. Unfortunately during the 12 the BAD PATCHES saw me having to scramble in a rush in to a hedge – too much information? well wine and food plus 54 miles in your legs – IT HAPPENS!! – it passes and I made it home to an excited Daisy who took pleasure in beating me around the cricket pitch! BAD PATCHES some last a long time in life, in relationships, in work and in long or short distance runs – But they are patches, patches of time that in one way or another we all get through. Just keep going and eventually it will clear.